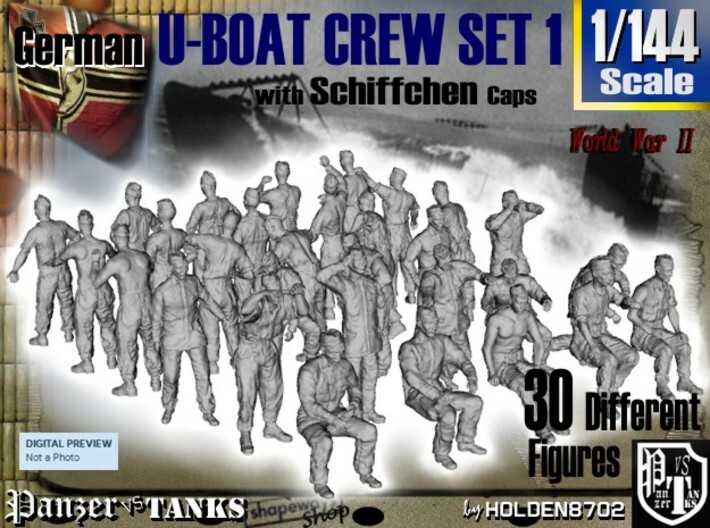 1/144 High detailed 30 different multipose figures for World War II Kriegsmarine U-Boat Crew. Figures wear shirts or frocks, but all them for interior or soft climate duties. All them wearing Schiffchen -garrison caps- headgear, commonly used by mid-war kriegsmarine sailors. 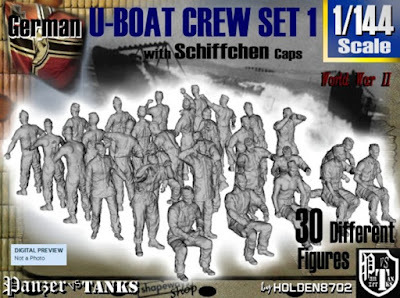 All these poses has been used in my late WWII German Artillery and WWI Airfield Crew Sets, with slight changes and different headgear over all. 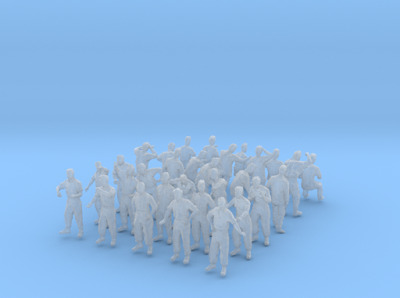 These figures are also right to use as Airfield Luftwaffe, Schnell Boats, Panzer , Armored Trains or Reichsbahn Crews.